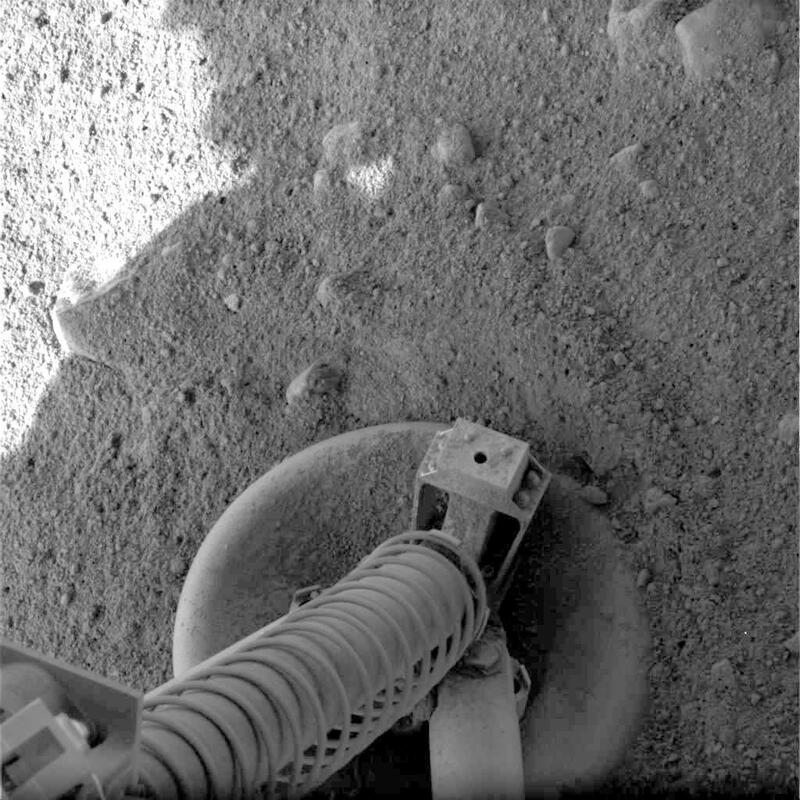 PIA10685 - This view of one of the footpads of NASA's three-legged Phoenix Mars Lander shows a solid surface at the spacecraft's landing site. 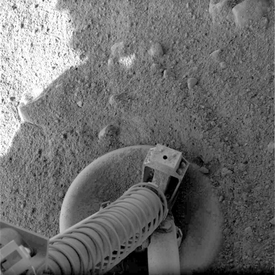 As the legs touched down on the surface of Mars, they kicked up some loose material on top of the footpad, but overall, the surface is unperturbed. Each footpad is about the size of a large dinner plate, measuring 11.5 inches from rim to rim. The base of the footpad is shaped like the bottom of a shallow bowl to provide stability. This image was taken by the spacecraft's Surface Stereo Imager shortly after landing, at 17:07 local time on Mars.